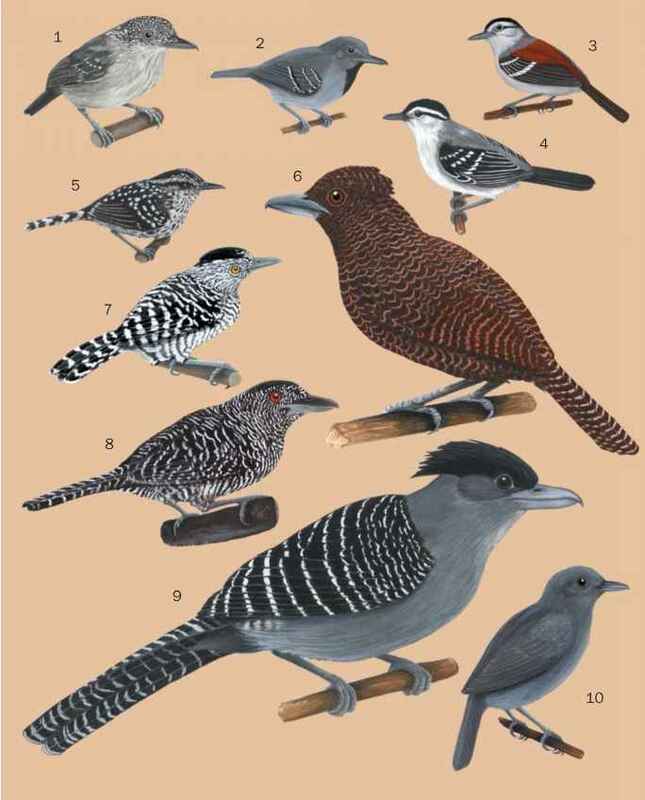 French: Mérulaxe ocellé; German: Perlenmanteltapaculo; Spanish: Churrin Ocelado. 8.5 in (21.5 cm); 2.9-3.5 oz (81-100 g). Hindclaw very long and straight. Bill elevated at base. Mainly black with large white spots. Rump and flanks chestnut. Forehead, face, throat and upper breast rufous. A. o. orthonyx: Andes of northwest Venezuela, and eastern and central chains of Colombia. A. o. infuscata: Andes of Ecuador and northern Peru. Mainly bamboo thickets in humid forest. Almost invariably in close pairs rummaging slowly on the forest floor or hopping lethargically through tangles of bamboo, occasionally onto mossy trunks and thick branches several meters above the ground. Digs with both feet simultaneously in an awkward jump. Food includes both arthropods and plant material.